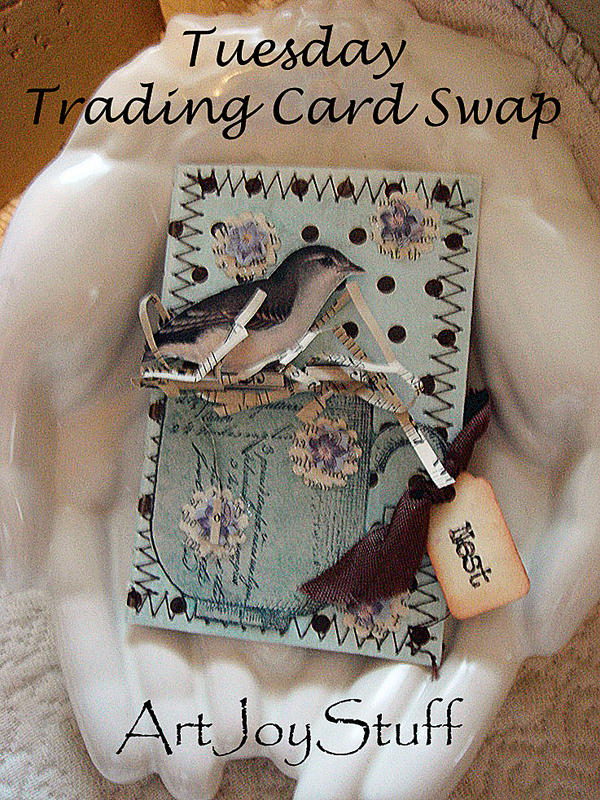 * Each Tuesday I will post an invite to the current week's swap. and post pictures of the 2 ATCs I create each week. you agree to create 2 ATCs. using whatever medium you would like. (let's say within a week's time). and 1 ATC from the other swapper. please give others a chance. and please feel free to join in monthly at any time. and link back to my homepage. 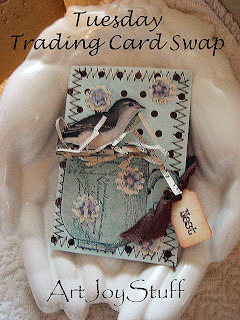 I am looking forward to more swapping fun! I've been following the tuesday trading card posts for quite some time now and am so excited to be a participant. Now off to pull out all my circus themed items. well..one of these good ol days i'm joining in! !